An alum of the Royal Academy of Dramatic Art (RADA), Sonya Cassidy took the film and television industry by storm and has been a major player in the field since 2009. So far, the British actress is known for many top films and TV shows and has become a go-to star during casting calls. Her small screen conquests can be seen on BBC’s The Paradise where she played the main role of Clara, in the police detective series Vera as Celine Ashworth, her portrayal of the Oracle in fantasy series Olympus and taking up the role of Hester in the science fiction series Humans which was picked up in 2015. Survivor (2015) as Helen and Breaking the Bank (2016) as Annabel form a part of her film exploits while she has also appeared in a few theatre productions. Appearing in popular demand shows saw to an upsurge in the curiosity to know more about Sonya Cassidy and her world. Thus, we gathered everything that is worth knowing about the British screen star. She was born in either 1987 or 1988, meaning the actress has not been generous with details of her birth. The 5 feet 7 inches (1.7m) tall beauty is of British nationality while her ethnicity is white. Her parents have always had her back in her chosen career and helped in guiding her path to the spotlight. Most of the institutions she attended have not been made public but Sonya received training in acting from the Royal Academy of Dramatic Art after which her career took off. Fresh out of RADA in 2008, Sonya launched her career on both the screen and stage. Some of her earliest film and TV roles came in the films Undead Union: The Making Of (2009), Precipice (2010), and TV shows Doctors (one episode in 2009), Lewis (one episode in 2009), The Tudors (one episode in 20019), and Midsomer Murders (2010 – one episode). Her other film credits include The Fifth Estate (2013), Survivor (2015), and Breaking the Bank (2016). Notably, the bulk of her appearances were made on TV and she only got a lead role in 2012-2013, playing Clara in The Paradise. 2012-2014 saw her star as Celine Ashworth in Vera. Her role in the British crime drama series was a recurring one which lasted for 8 episodes. 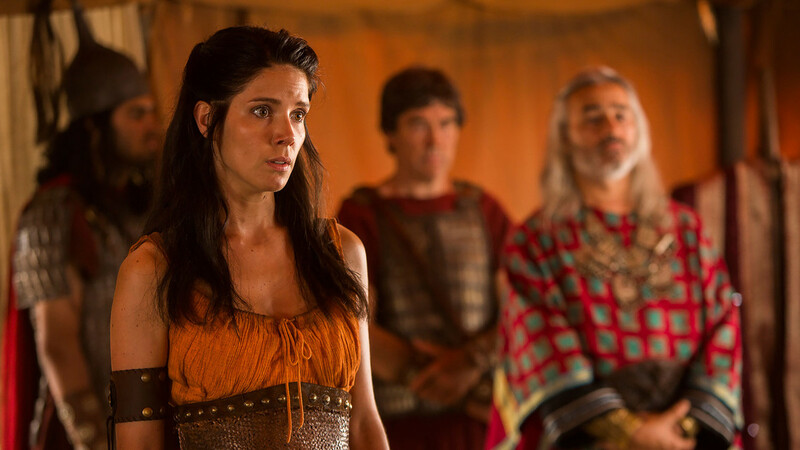 After Vera, she played a few minor roles before landing the main role of Oracle in Olympus. In 2016, Sonya was in 8 episodes of Humans, playing the recurring role of Hester. She is currently appearing as lead characters – Countess Fosco and Liz Dudley in The Woman in White and Lodge 49 respectively. Sonya Cassidy has also appeared in some stage productions including Inherit the Wind at The Old Vic and The Prince of Homburg. The latter earned Sonya a good impression on Sir Trevor who promptly invited her to audition for the role of Princess Alais, in his production of ‘The Lion in Winter’ at Theatre Royal Haymarket. Read Also: Is Amanda Barrie Gay, Who is The Wife or Partner – Hilary Bonner, How Old is She? Family, Husband, Who Is Sonya Cassidy Married To? The early years and childhood of the British actress have remained a secret to date. Thus, not much is known about her family and its members. We can’t confirm if she grew up with any sibling and the identity of her parents is also not known to the public. However, she often talks about her folks and how supportive they have been since she showed interest in acting. During an interview, she revealed that her parents actually taught her acting before she took it to the professional level. Asides the foregoing, there is no information regarding her family and where they are. As regards her personal, Sonya Cassidy is yet to settle down in matrimony, thus, she has no husband. It might also interest her myriad of fans that the beautiful actress is not in any relationship, at least none that we know of. This might not last for long though since she is quite an eye candy who has achieved a lot in her career and many men would want a place in her life. In the meantime, she is investing all her time and energy to build a strong and lasting career and may not have the time to start a serious relationship that will lead to building a family of her own.